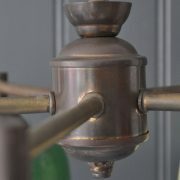 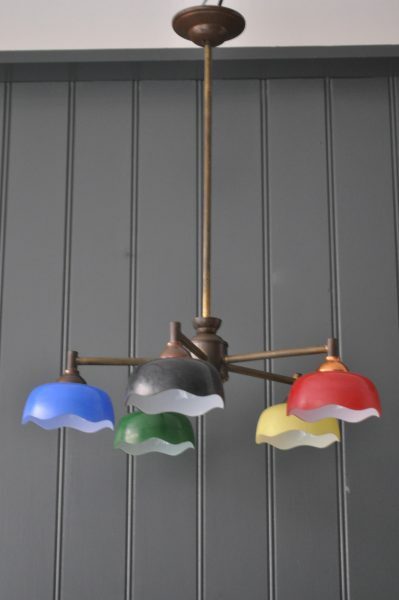 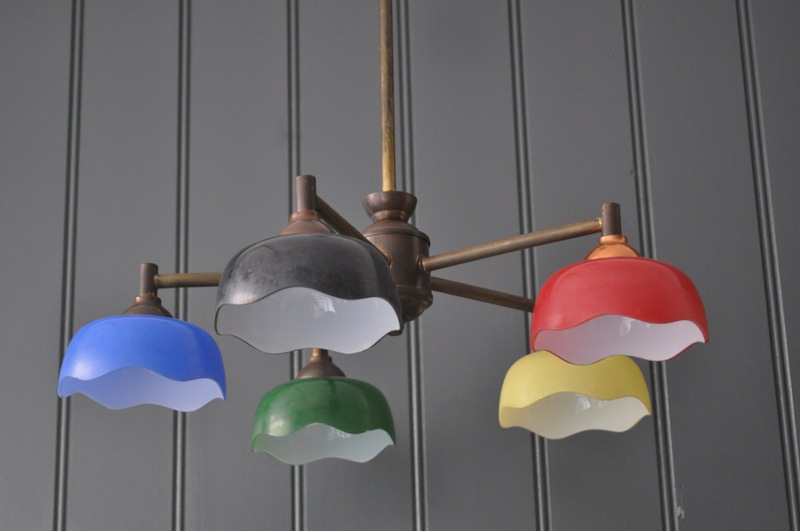 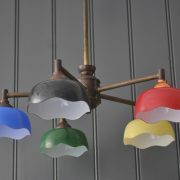 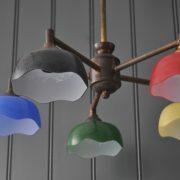 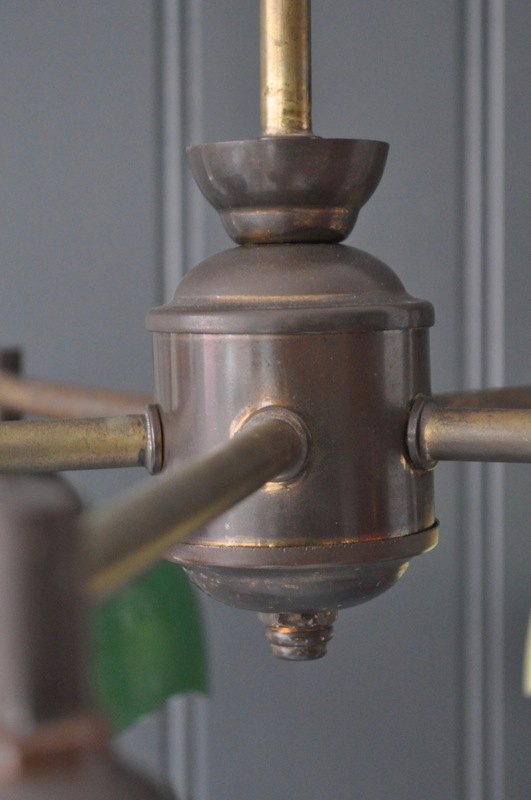 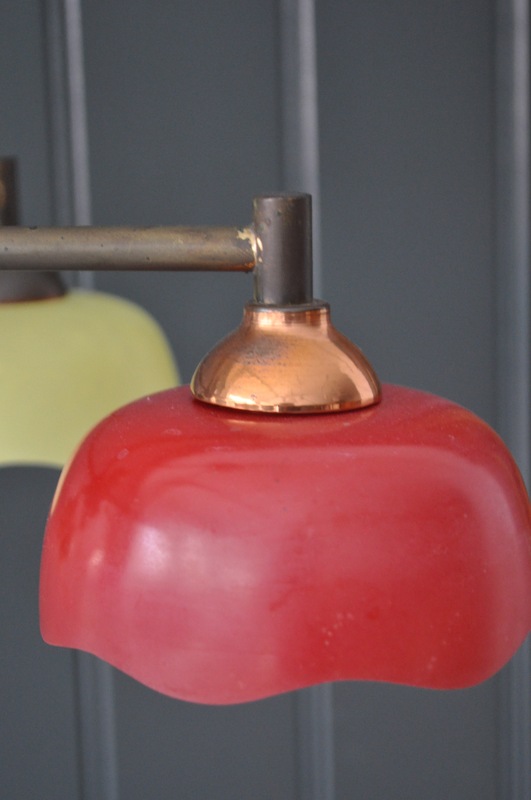 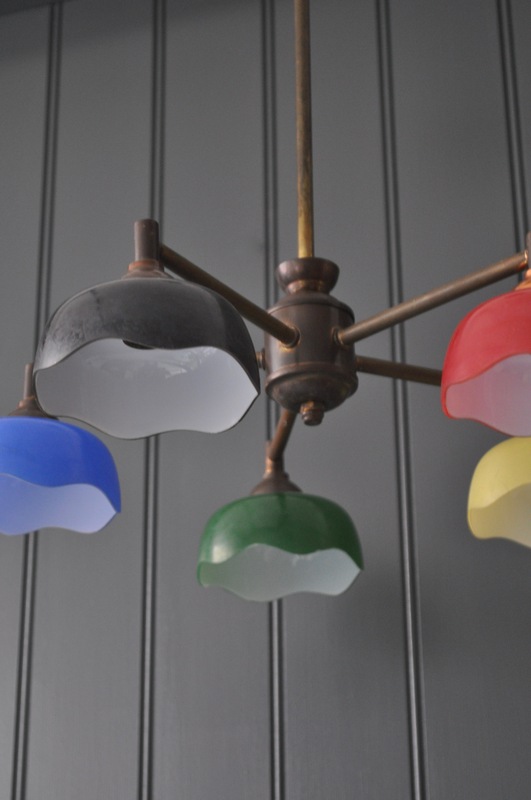 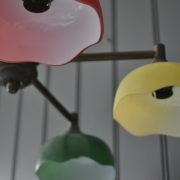 Quirky and lovely 5-arm ceiling lamp with pretty coloured glass shades on a patinated stem. 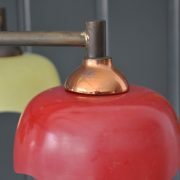 Newly re-wired and accepts BC bulbs. 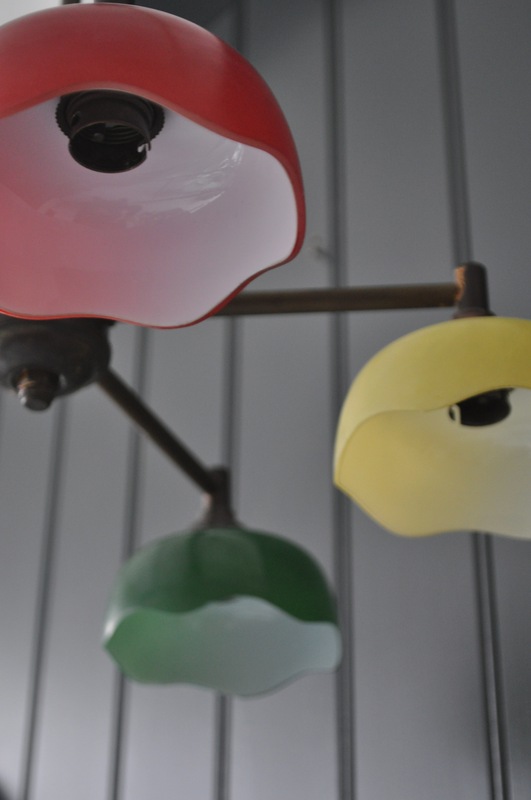 Nice condition with no chips or cracks to the glass shades.